Cassidy Tuttle is the talented photographer, author, and green thumb behind www.succulentsandsunshine.com and the newly released Idiot's Guide to Succulents. (I must say, it's the most beautiful Idiots Guide I've ever laid eyes on!) 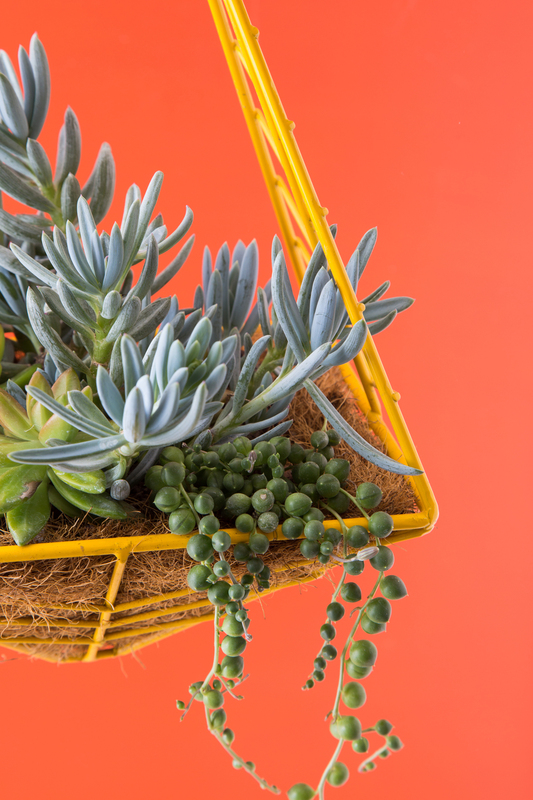 Cassidy stopped by to share her best tips for creating just the right soil to grow your succulents in. Succulents are such fun plants to grow and can be pretty low maintenance. While most people seem to realize that succulents don’t need water as frequently as most plants, they don’t even think about the soil they are planted in. A well draining soil is crucial to maintaining a healthy succulent garden. There are several bagged potting mixes available at big box stores, but generally these are filled with peat moss and regular potting soil which retains too much water for succulents. An ideal soil mix for succulents will have mostly inorganic materials with somewhat large particles (⅛ - ¼”). Smaller particles cause the soil to be more dense and doesn’t allow for proper drainage. Generally these items can be found at a nursery. Turface can actually be found at autoparts stores! It’s used to clean up oil spills and is generally called something like “Oil-dri”. You can also order a pre-mixed bag of this soil mix online from Bonsai Jack, as well as the individual products. You can also make a mix of your own with similar products. Often people recommend using pumice as a component for succulent soil. Whatever you use, just make sure it drains really well so it dries quickly. The great thing about planting succulents in Hedge planters is they help encourage the soil to dry out. The coconut liner drains really well and provides for good airflow around the soil which will help it dry out quickly. Succulent roots love having plenty of airflow and the combination of a well draining soil in a Hedge planter will make for happy succulents! For more information about growing healthy succulents, check out these great ebooks from Succulents and Sunshine .